Wanda Nell Howell Bivens, age 80, of Ethridge, TN passed away Friday, December 14, 2018 at Countryside Healthcare in Lawrenceburg, TN. 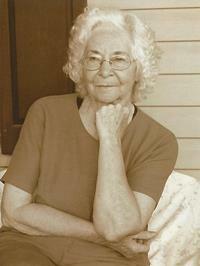 She was a native of Giles County, TN, retired from Murray Ohio, and a member of Pleasant Valley Church of Christ. She was preceded in death by her parents, Albert Felix and Mary Ellen Pratt Longshore; first husband, Bobby Ray Howell; second husband, Hollis Bivens; and one son, Roger Dean Howell. Arrangements are being handled by Neal Funeral Home, 231 N. Military Avenue, Lawrenceburg, Tennessee. The family will receive friends from 5:00 PM to 8:00 PM Saturday, December 15, 2018 at Neal Funeral Home. Funeral services will be conducted at Neal Funeral Home at 2:00 PM Sunday, December 16, 2018, with Bill Murphy officiating. Interment will follow at Scotts Hill Cemetery in Giles County, TN.